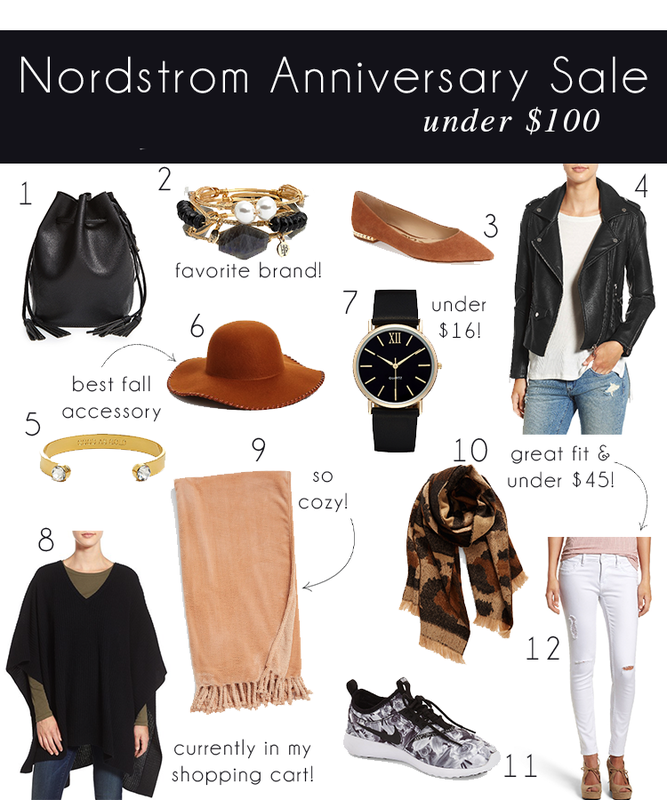 I know so many of you have waited for the Nordstrom Anniversary Sale to open to the public and today is the day! While there are plenty of great designer pieces left in the Nordstrom Anniversary Sale, my favorite finds are always ones that fall under the $100 price range. Whether you're on the hunt for basics that will last you for seasons to come or on-trend pieces to take a risk on, there are plenty of budget friendly options! The sale mostly focuses on clothes, accessories and shoes, but don't forget about the home goods! Some of my favorites from last year are back this year, like the leopard pillows I have in our master bedroom and the abstract picture from our living room. I also can't forget some of my favorite candles that I will be stocking up on! I'll link some of my other favorite home good finds below as well. I hope you have a wonderful weekend and if it's your first day shopping the sale, have fun!